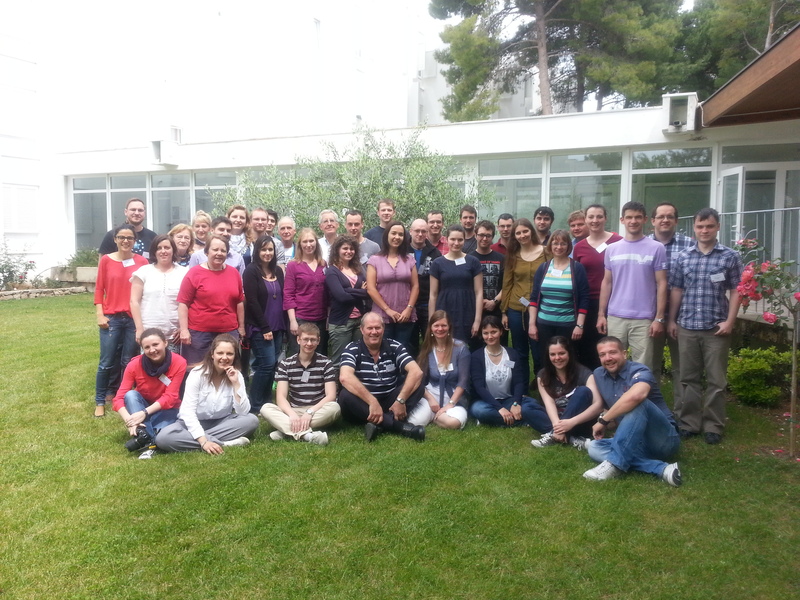 The first CAC organized summer school in crystallography “Hot Topics in Contemporary Crystallography” was held in Šibenik, beach resort “Solaris” from May 10th to 15th, 2014. There were 27 participants at the school, coming from 14 countries (Slovenia, Serbia, Italy, Spain, UK, Germany, Finland, Poland, Czech Republic, Ukraine, Russian Federation, South Africa, Canada and Croatia) from three continents. The school had six lecturers: prof. dr. Hans-Beat Buergi (University of Bern, Switzerland), prof. dr. Howard Flack (Univeryity of Geneve, Switzerland), dr. Regine Herbst-Irmer (University of Geottingen, Germany), prof. dr. Elspeth Garman (University of Oxford, UK), dr. Pete Wood (Cambridge Crystallographic Data Centre, Cambridge, UK) and prof. dr. Dietmar Stalke (University of Goettingen, Germany). Special guest of the school was prof. dr. Andreas Roodt, president of the European Crystallographic Association. During the four working days of the School, we had 12 90-minutes lectures, five 90-minutes hands-on sessions, one sponsored lecture, five short student oral presentations, and a poster session with 16 poster presentations. The HTCC2014 was supported by numerous government bodies, organizations and private companies: Ministry of science, education and sports of the Republic of Croatia, Croatian Academy of Sciences and Arts, International Union of Crystallography, European Crystallographic Association, Cambridge Crystallographic Data Centre, DECTRIS, Zagrebačka banka dd Zagreb, Panalytical, RENACON dd, Rigaku, ROFA dd, Agilent Technologies, Fidelta, AKD – Agencija za komercijalnu djelatnost, Globtour Event d.o.o., Solaris d.d., Molecular Dimensions and Jamnica d.d. Zagreb. 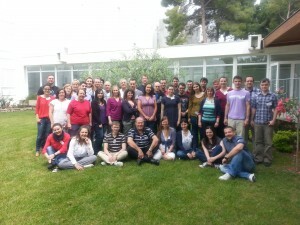 Croatian Association of Crystallographers deeply appreciates financial support of our donators and supporters, the efforts of all lecturers, as well as the enthusiasm of the students. Next, second edition of the HTCC is scheduled for 2016. We will do every effort to make it even better that the first one.